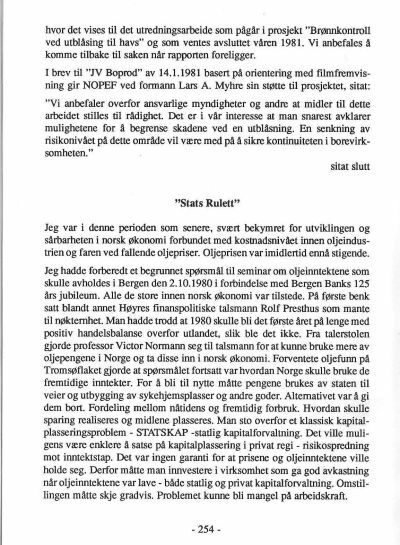 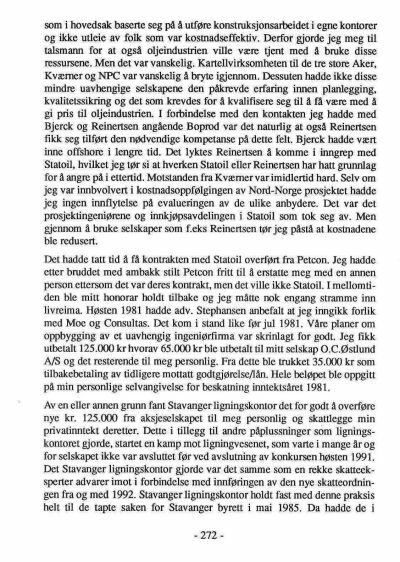 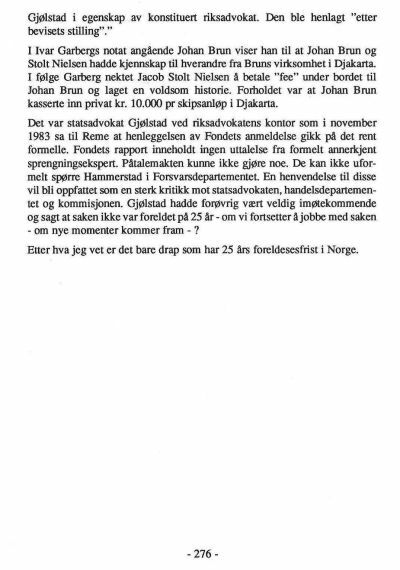 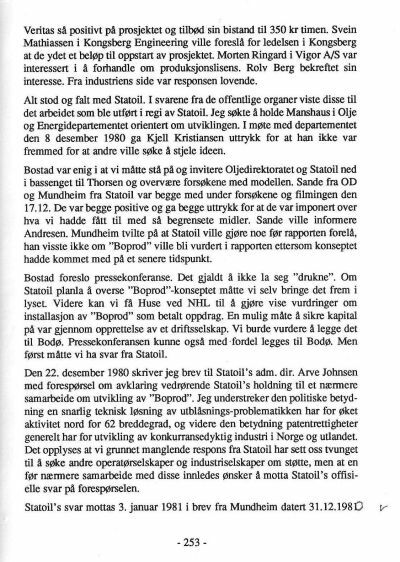 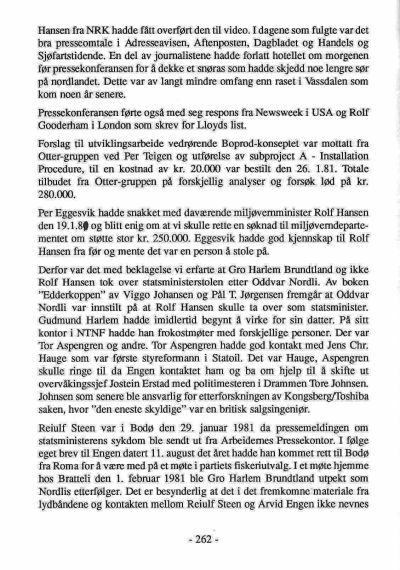 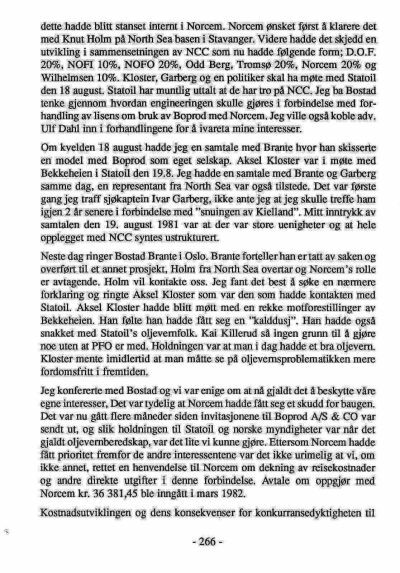 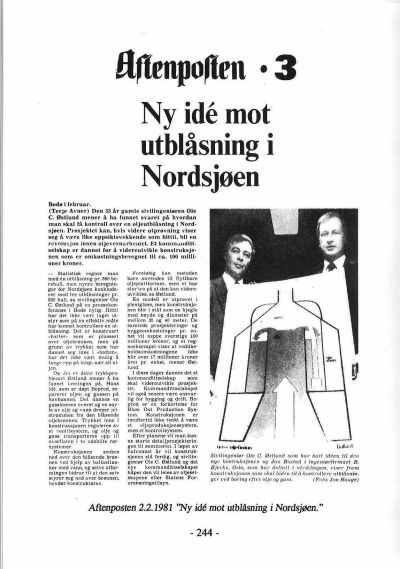 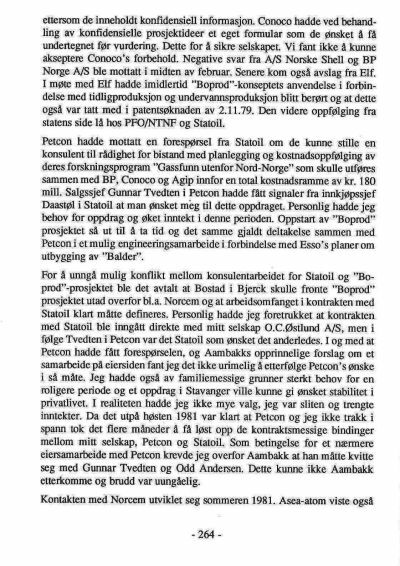 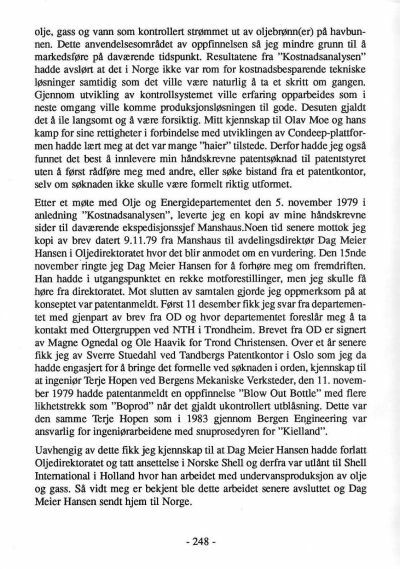 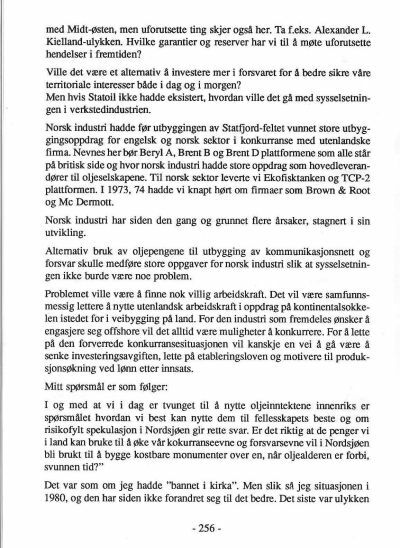 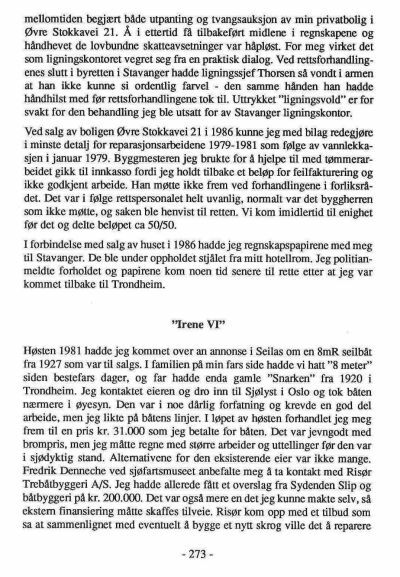 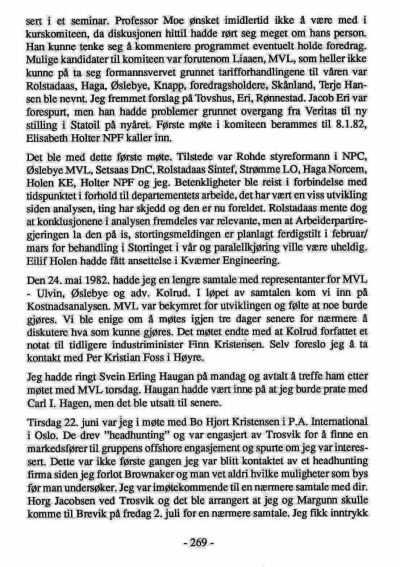 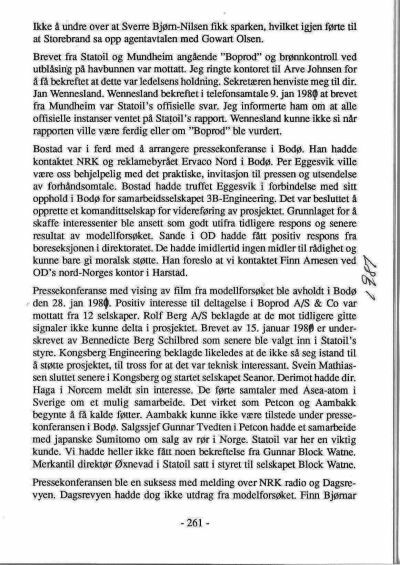 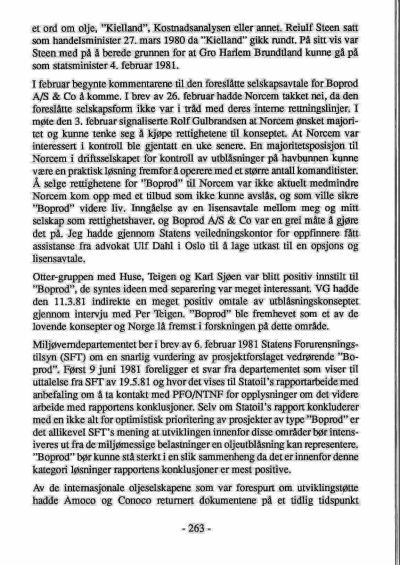 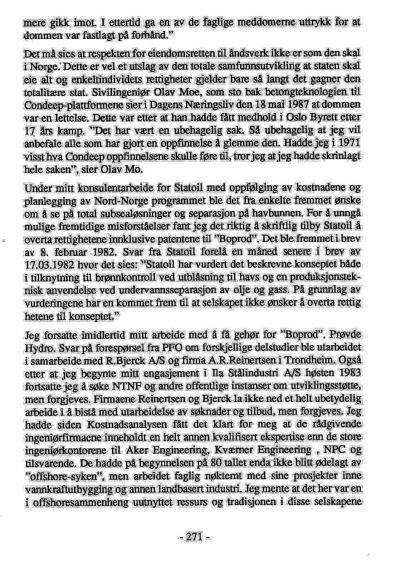 This part to deal with my invention "BOPROD", first patent aplication filed in Norway on November 2nd 1979. 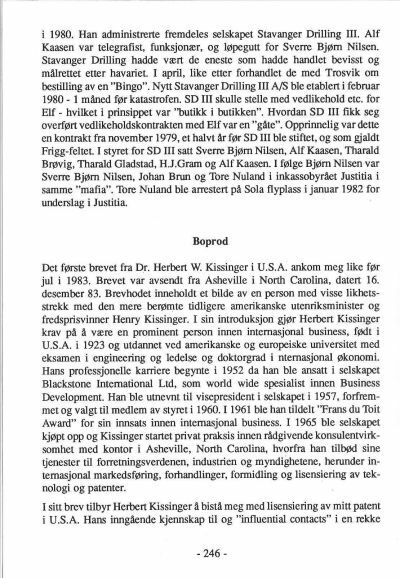 OCO International Inc., USA was registered in Texas in 1987 dedicated to promote the "Boprod" technology on a world wide basis. 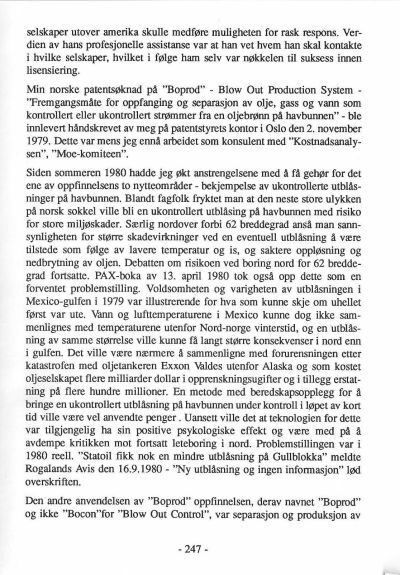 What happened in fall 1987 - why did I return to Norway? 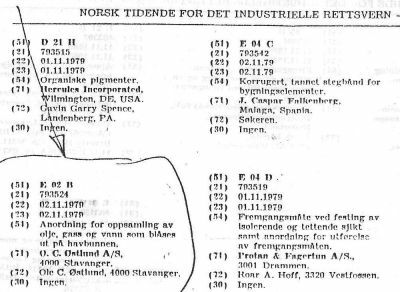 OCO International Inc., USA was ready to move on. 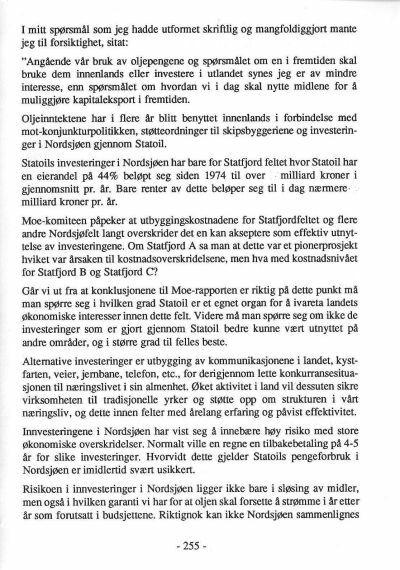 forcing me to call for bankruptcy proceedings as I was in lack of cash. 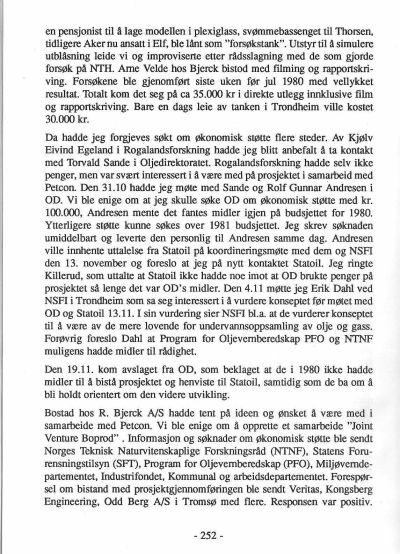 At the time I had transfered the proprietary rights for "Boprod" out of O.C.Ostlund AS. 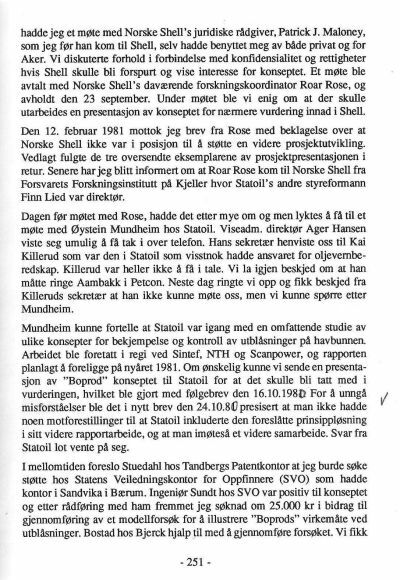 in enforcing Labours Oil politics, Statoils role, and tax regime. 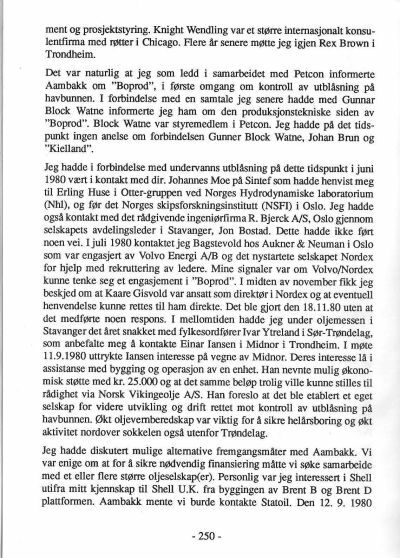 "This application of the "Boprod" - Blow Out Production System is a system for getting uncontrolled subsea oil and gas streams under control in such a way that the oil and gas can be commercially utilised during the period of time other means of seeking control are being applied, as for instance drilling of relief well(s). 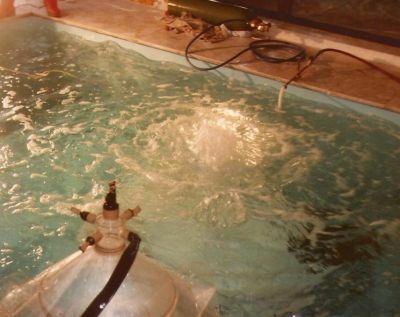 Having an uncontrolled subsea well blowing for some time will cause pollution of the sea and the surroundings demanding large amounts of money having to be spent in order to limit such effects and/or to clean up afterwards. 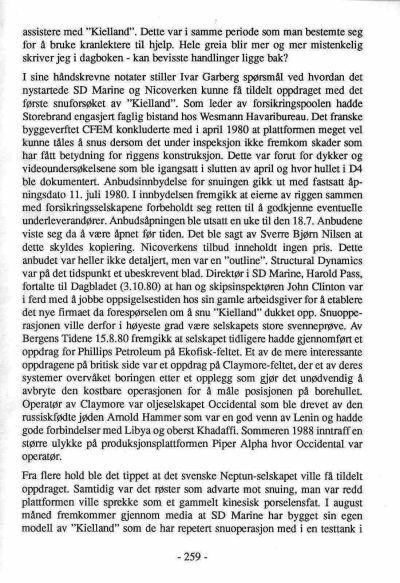 The main objective is to limit the risk related to oil and gas exploration activities at sea, limit the cost involved with an uncontrolled blowout at the sea floor, and recovery of a major part of the produced oil. 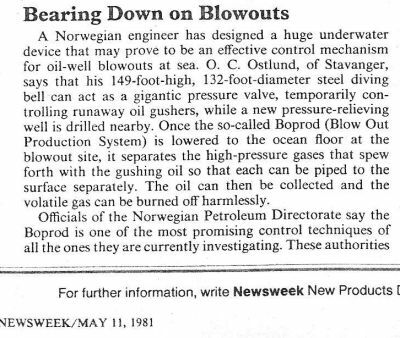 The "IXTOC I" blowout which occurred summer 1979 in the Gulf of Mexico kept on "blowing" 20.000 bbls per day in 6 months before it was killed. 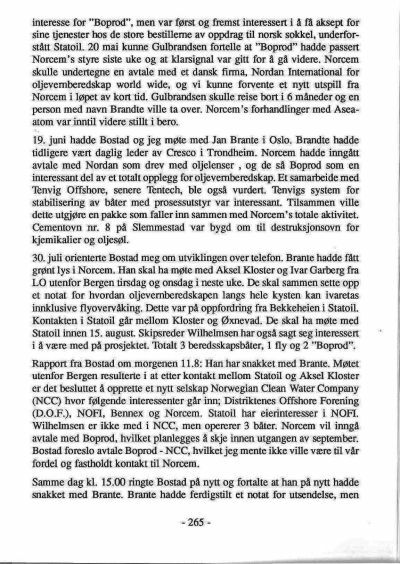 The direct loss in production value was approximately 100 mill $ at that time in addition to killing and clean up charges.Even an oilprize of 15$ per bbl would make a loss in production of 50 mill. 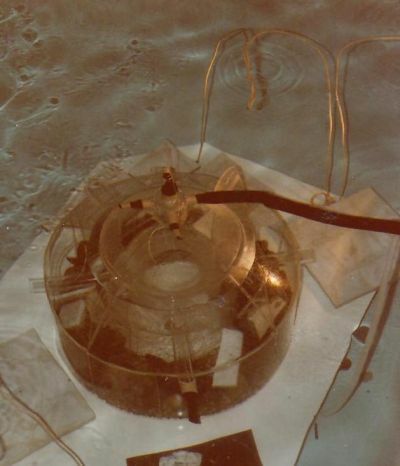 $ which by itself should justify investment in this type of equipment. 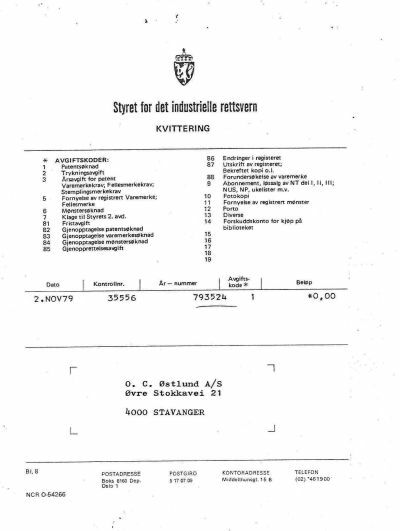 In addition savings on clean up and other related cost including reduced insurance premiums. 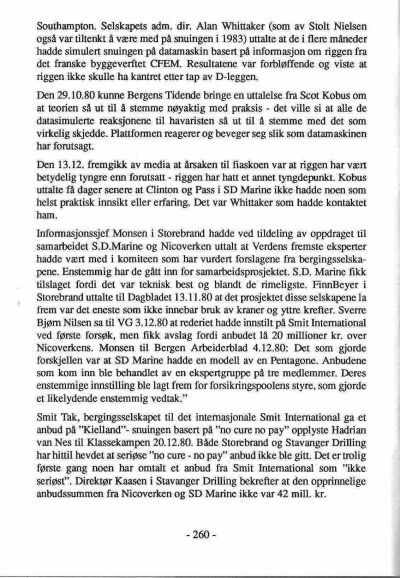 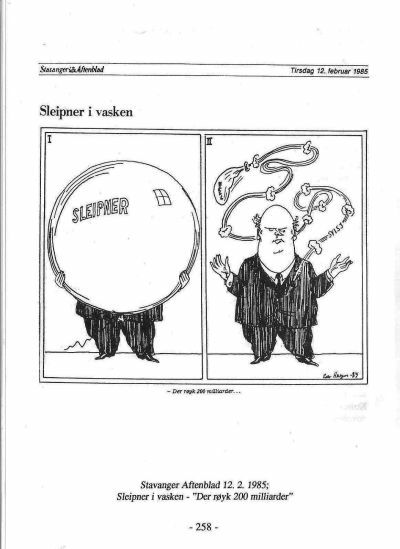 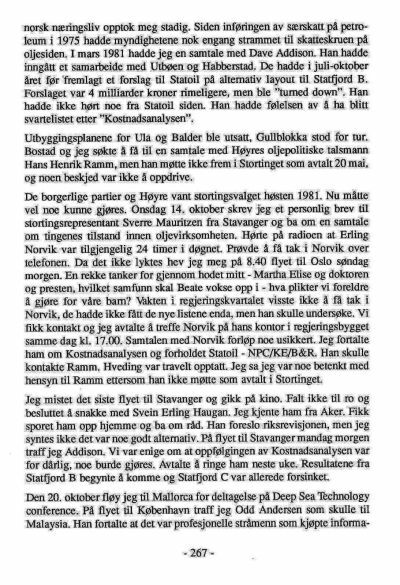 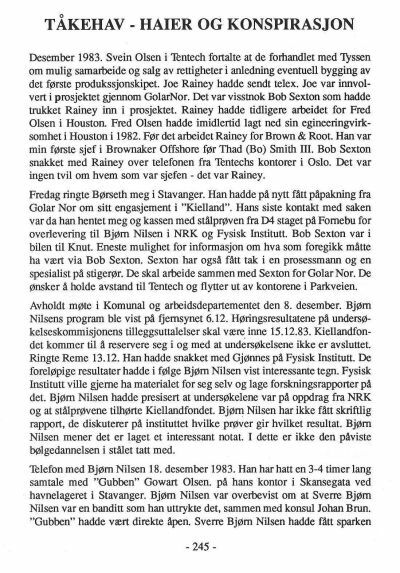 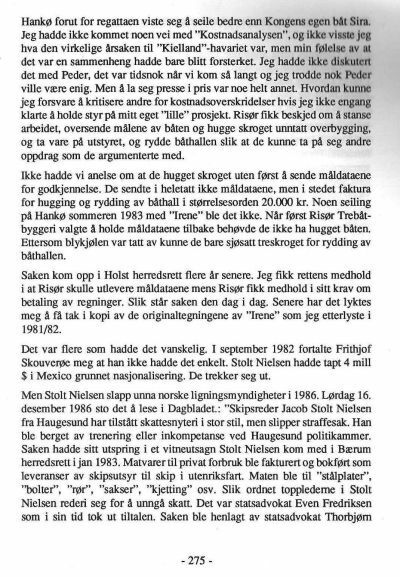 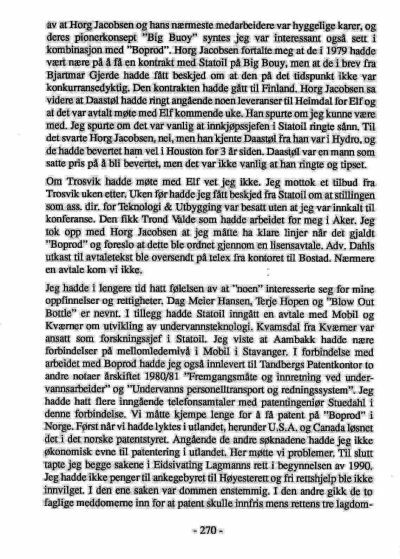 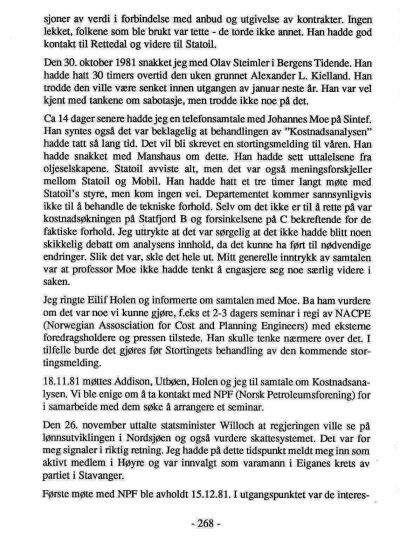 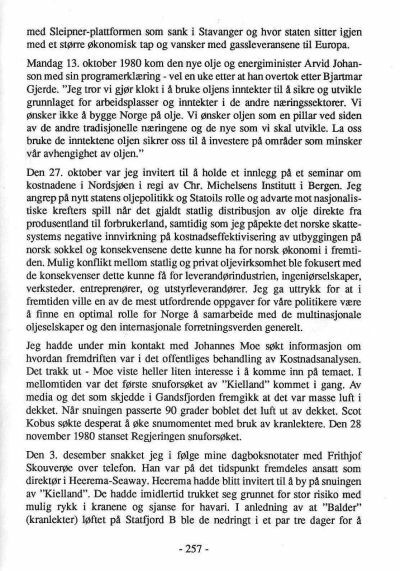 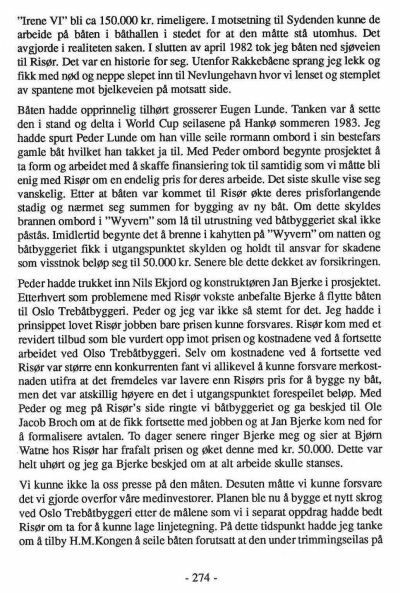 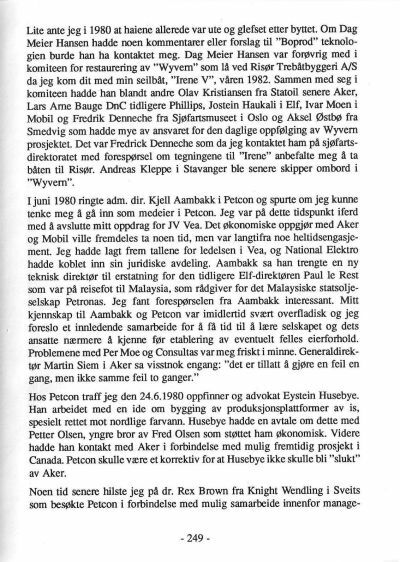 From press conference in Bodö Feb. 1981.
for other parts of the book go to section ALK-TRUTH.